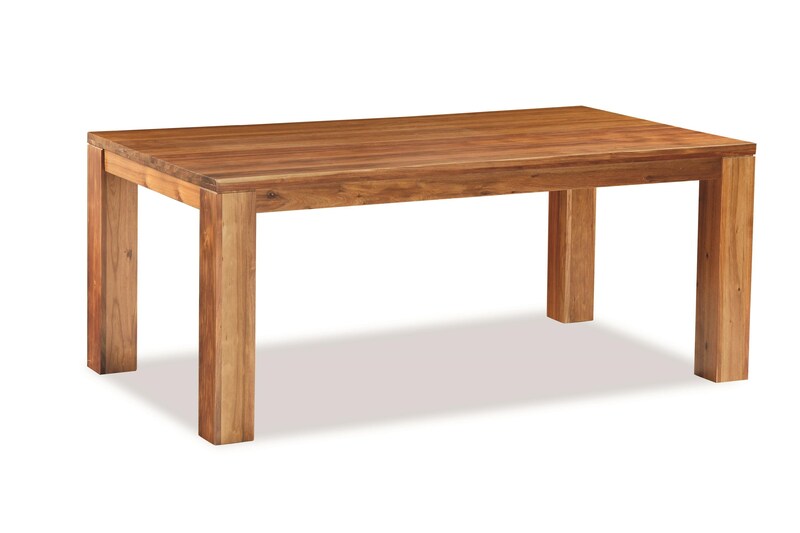 Simplistic elegance makes this spacious wood dining table the perfect addition to any dining room. Its Tasmanian blackwood veneers and solids construction give it uniquely stunning wood grains while emitting an inviting natural warmth. This contemporary table is sure to become the centerpiece of your dining space. The Clifton Dining Table by Global Home at HomeWorld Furniture in the Hawaii, Oahu, Hilo, Kona, Maui area. Product availability may vary. Contact us for the most current availability on this product.